WaveShaper CM: Design your own distortion curves and analyse signals with a built-in multi-function oscilloscope using this awesome new plugin from coding geniuses Cableguys! This is an original plugin designed just for CM, and it's for PC/Mac in VST/AU formats. More info on the WaveShaper CM page. A to Z of Computer Music - E: From Early Reflections to Expander, learn the language of computer music. 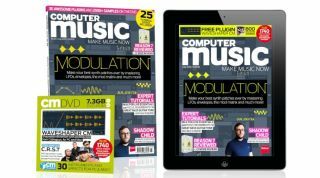 Every issue of Computer Music comes with CM Plugins, an exclusive collection of pro-quality VST/AU instruments and effects for PC and Mac. Check out our full CM Plugins list and the CM Plugins FAQ for more info.